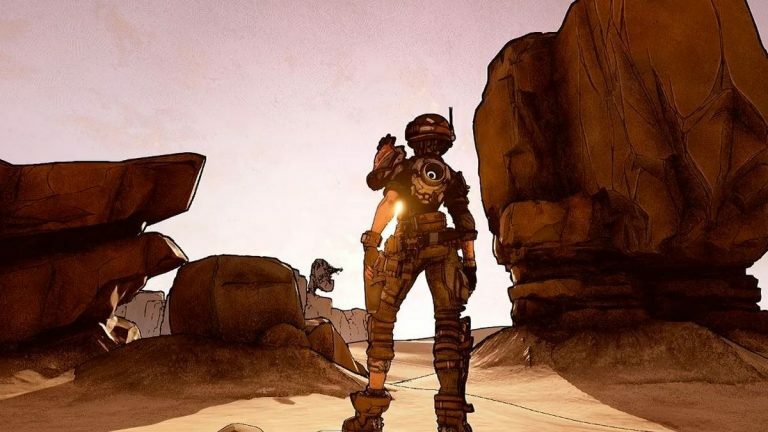 It is thought to be Borderlands 3 for several reasons: Gearbox CEO Randy Pitchford has been talking openly about the game since 2015, past year he tweeted a photo that suggested he was doing performance capture for it, and last September he told IGN that Gearbox wants to deliver a "really big, worthy" continuation instead of an offshoot like The Pre-Sequel. "Many of you will find a way to interpret the intent to suit what you want to believe regardless of what is true". Last but not least, earlier this month, Walmart Canada leaked that Borderlands 3 is coming, though it did not reveal any release window or any additional details. Borderlands is an extremely popular co-op shooter by Gearbox Software. It also refutes the information that was seen in the massive Walmart leak days ago where Borderlands 3 was shown with only a title and no box art. Borderlands has received 2 mainline games and a spin-off. While some of the unannounced games seemed completely of the wall - Forza Horizon 5? - others, like Rage 2, have turned out to be accurate. It's a huge blow to those who have been expecting to see Borderlands 3 at E3 amid rumors and other theories that suggested Gearbox might have the next game present at the conference in June. However, as pointed out by Reddit user MarcianTobay, the link was posted shortly after Schoolhouse Rock composer Bob Dorough died, so it's unclear whether the post was meant to be a simple tribute, a cryptic teaser, or perhaps both. Well, there you have it; no Borderlands for us at E3 2018. Gearbox confirmed Borderlands 3 was in development during PAX East 2016. The fact that a Gearbox representative announced that the game wouldn't be at the show (via Shacknews) certainly makes this appear to be the case.